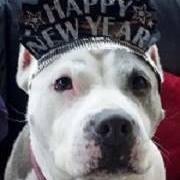 Happy New Year from beautiful Angel, a pit bull! 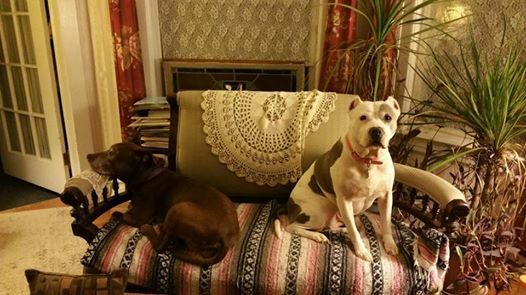 Meet Angel and her sister Diva, two beautiful, sweet pit bulls who live very happy lives with their mom, Mimi and their dad, Ed. Angel and Diva, happily relaxing inside on this bitterly cold day in January.